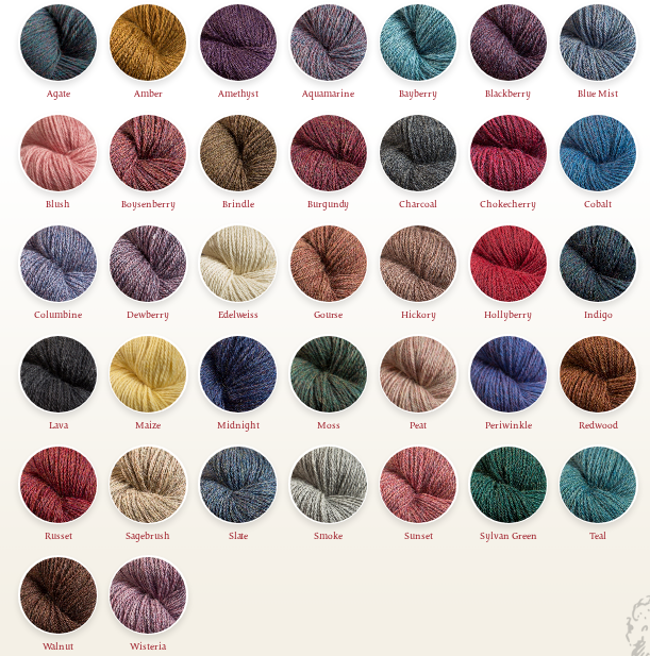 JaggerSpun Heather is a top-dyed worsted spun** wool yarn. The heather effect is created by blending together many different shades to achieve each unique yarn color. All colors in our Heather collection are available in 2/8 & 3/8 weight. * The 2/20 weight has its own button. **Worsted spun is a term used to define a method of spinning; this is different from worsted weight yarns! Â• 100% medium grade wool. Mothproofed. Â• Dry clean or hand wash in cool water and lay flat to dry. These yarns are sold on one pound cones (a little less than half a kilo). JaggerSpun yarns are sold on one pound cones (a little less than half a kilo). Shipping is additional, and will be billed after you place your order so that it is customized to your location. You can also email us for an invoice if you want to have your shipping and yarn order on one bill. If you want to pay by check or money order, please email us for your total.